Tú estás aquí: Inicio / Material de estudio / Does Repetition Make Perfect? 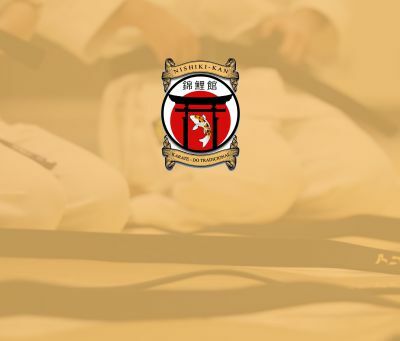 One of the characteristics of karate training is repetitions of basics, Sensei Nishiyama used to start the class with hundreds of kizami/gyaku zuki followed by hundreds of kicks. Some researchers believe that it takes about 10,000 repetitions in any art or sport to achieve mastery or expert level of technique. Repetitive practice makes the difference between a world class athlete and the rest. With each repetition we are wiring the nervous system, creating connections and patterns, and the more repetition the more myelin, which is an insulation substance, covers those pathways (Axons). Myelin allows for signals to travel faster and more efficiently through the pathways. Much like a broadband internet connection vs dial up. The faster and more precise those signals travel through pathways, the more ability to accomplish complex tasks. In a well train person the myelin allows the signals to travel through the pathways up to hundred times faster. The karate person neural pathways for specific skills are turning into superhighways through repetition training. The problem is if the repetitions are not quality repetitions, if we repeat the wrong way, we are creating the wrong circuitry, and once our nervous system is wired it will be more difficult to undo and relearn. If one is to repetitively initiate techniques from the arms rather from feet and body center, if one is getting used to chest breathing rather than abdominal breath, or if one is consistently moving from a faulty posture, it will take a lot more effort and awareness to undo and make good techniques. I know it from my own experience, since high school I was training 3 hours a day, doing lots of repetition, but without guidence or feedback, just imitating the form. When I came to study with Sensei Nishiyama, after the first lesson he told me to put a white belt on, and for the next 7 months, 6 hours a day, I was just correcting, undoing my bad habits, til he awarded me a black belt again. You see if you have the best hardware, the best computer, it will function and give only as good results as the software you install in it. Like wise, no matter how fit and athletic one is, if the quality of the patterns installed in the nervous system is low, one can never use their full potentials. Our purpose in karate is to make most efficient use of the human body and mind, the whole body should cooperate to one direction in each technique. As sensei Nishiyama used to say: “What is the points of having 8 cylinder car if you can use only 2 cylinders? must use all 8”. This is why understanding the theory is important, theory is like roadmap, it gives us direction and we must find a way to receive feedback. 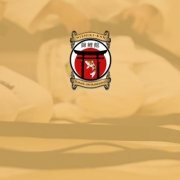 Merely imitating the form is not sufficient, form is symbol of principles, it is meant for us to dig in and discover the underlying principles behind karate techniques, and then install those principles into our nervous system through repetitions. https://thetraditioncontinue.com/wp-content/uploads/2018/06/blog-art-nish.jpg 341 400 The tradition continue https://thetraditioncontinue.com/wp-content/uploads/2018/06/logo-redis.png The tradition continue2018-10-08 11:38:562018-10-08 11:38:56Does Repetition Make Perfect?